Janelle Herbert is one of those amazing people that leads her team with a smile and a sense of humor. She is a wife, mother of three, and owner and operator of Riverbend Gardens, a fourth generation vegetable farm in Edmonton’s North East where a plethora of delicious vegetables grow to feed Edmonton and community. Janelle is passionate and dedicates a lot of time towards continuing local sustainable agriculture so that her children and grandchildren can taste fresh local food for generations to come. 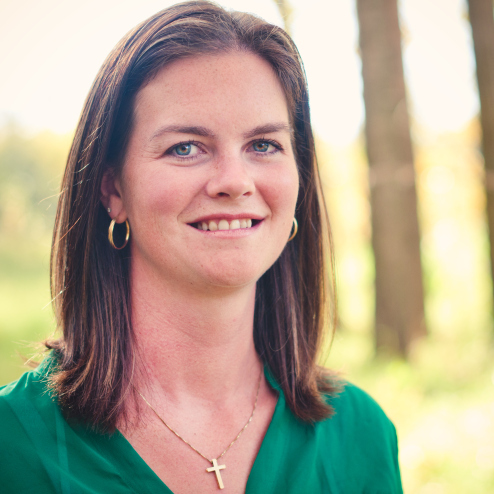 Janelle and her husband joined her parents in 2006 and since then, Janelle has learned all about being a smart and forward thinking farmer, and introduced many initiatives to lead Riverbend Gardens into the future. She is a natural-born tweeter and can be contacted at @RiverbendGarden.